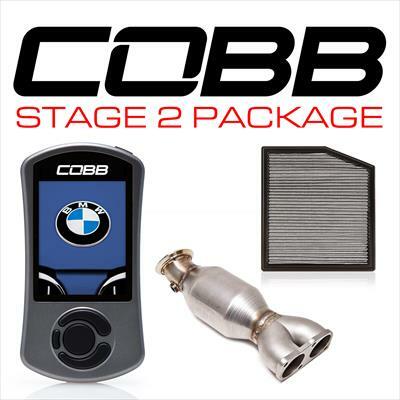 The COBB Stage 2 Power Package for the BMW N55 offers customers COBB's Accessport V3, High Flow Filter and Downpipe. The COBB High Flow Filter and Downpipe are direct replacement modifications that dramatically increase cooling and power. The High Flow Filter maximizes the airflow into your turbo while the Downpipe features a 200 cell high flow catalytic converter and cast merge section that expels the exhaust gases quickly and efficiently.